In contrast, 57 percent of undecided Democratic voters hold an unfavorable view of Clinton, according to a Public Policy Polling survey released Tuesday. Among all likely Democratic primary voters, Clinton is enjoying a favorable/unfavorable rating of 63/26 percent, her worst to date. Clinton fairs particularly poorly among voters who support her competitors. Eighty percent of Democrats who plan to vote for former Rhode Island Gov. Lincoln Chafee in the Democratic primary have an unfavorable opinion of Clinton while only 10 percent view her positively. For comparison, 77 percent of voters from both parties identifying themselves as "conservative" have an unfavorable opinion of the former secretary of state, according to CNN/ORC polling released in August. The share of such individuals is higher—90 percent—among voters identifying themselves as Republican. Among supporters of former Maryland Gov. Martin O’Malley, 65 percent have an unfavorable view of Clinton and only 23 percent a favorable view. Her numbers are similarly dismal among backers of former Virginia Sen. Jim Webb, 72 percent of whom view Clinton negatively. And, Clinton’s unfavorable score is highest among Democrats who would support Harvard law professor and government reform activist Lawrence Lessig. Ninety-four percent of Lessig’s supporters have an unfavorable view of Clinton. Only when it comes to backers of Sen. Bernie Sanders (I., Vt.) do Democratic voters supporting another candidate view Clinton favorably. Forty-three percent of Sanders enthusiasts have a favorable opinion of Clinton while slightly fewer–39 percent–disagree. While Clinton does well among Democratic voters who already support her, the numbers point to a potential problem for the former secretary of state as she strives to excite voters in the party ahead of the 2016 election. The enthusiasm surrounding Clinton’s candidacy has been eclipsed by her private email scandal, which appears to have produced her worst ever favorable and honesty ratings among voters nationwide. 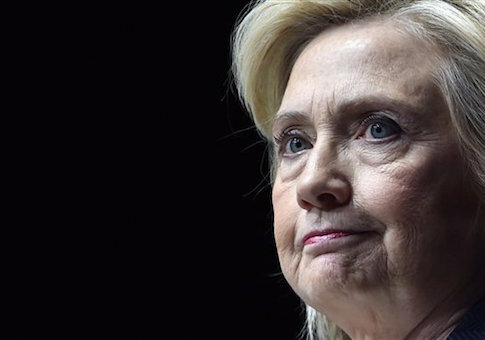 Clinton has lost 10 percent of the vote among likely Democratic primary voters in less than a month, according to a national poll released by Quinnipiac University last week. Clinton was forced to hand over her private email server to the Justice Department in August after the inspector general of the intelligence community determined that at least two of the emails held on her personal system contained top secret information. Hundreds more have been flagged for possibly containing classified information. An "A-Team" at the FBI is spearheading the investigation into Clinton’s email, an intelligence source said last week. This entry was posted in Politics and tagged 2016 Election, Bernie Sanders, Hillary Clinton. Bookmark the permalink.